Weekly Standard: Yes, Time To Break Up The Banks The left may be calling for a break up of the big banks, but James Pethokoukis of The Weekly Standard doesn't see that as a bad idea for the right, either. He argues that the banks are causing a bubble that financial regulators don't know how to minimize. Men walk out of JPMorgan Chase & Co headquarters in New York, May 14, 2012. James Pethokoukis is a columnist and blogger at the American Enterprise Institute and a contributor to CNBC. America needs to break up its biggest banks, but not for reasons likely to give a tingle to Occupy Wall Street's remnant rabble (or its Great Everywhere Spirit, Senate candidate Elizabeth Warren of Massachusetts). This isn't about some political exercise in election-year demonization. Bankers, as a class, aren't villains. They're not "banksters" grifting money from middle-income pockets. And they're certainly not vampire squids on the collective face of humanity, as Rolling Stone writer Matt Taibbi has infamously described Goldman Sachs. And while it might be rhetorical overkill to say they're "doing God's work," as Goldman boss Lloyd Blankfein has put it, bankers do fulfill a critical economic function. Bankers, not bureaucrats, are supposed to be the efficient allocators of capital in America's market-based economy. They connect people who have spare dough to those who need a bit of spare dough, such as entrepreneurs looking to start a business or companies looking to grow one. We need lots of successful banks, and we need smart folks to run them. But America doesn't need 20 banks with combined assets equal to nearly 90 percent of the U.S. economy, or five mega-banks — JPMorgan Chase, Bank of America, Citigroup, Wells Fargo, and Goldman Sachs — with combined assets equal to almost 60 percent of national output, three times what they were in the 1990s. That amount of complexity and financial concentration — which has grown worse since the passage of Dodd-Frank — is a current and continuing threat to the health of the U.S. economy. Now don't blame market failure or unintended results of deregulation. Banks that big and complex and interconnected are both the unsurprising outcome of Washington's 30-year expansion of the federal safety net and the cause of its ongoing existence. When you combine a "too big to fail" guarantee from Uncle Sam with the natural human tendency toward irrational exuberance, you have the key elements in place for another unaffordable financial crisis. Bubbles are nothing new. And the root cause of the financial crisis of 2008-2009 may have been no different than what drove manias for Dutch tulips in 17th-century Holland, shares of the South Sea Company in 18th-century England, or dot-com stocks in 1990s America. This time around, the vehicle for the market's mania was an outbreak of cockeyed optimism about housing prices — among both lenders and borrowers — and their inability to ever decline. A new study from the Federal Reserve banks of Atlanta and Boston, "Why Did So Many People Make So Many Ex Post Bad Decisions: The Causes of the Foreclosure Crisis," explains it this way: "Bubbles do not need securitization, government involvement or nontraditional lending products to get started. . . . If the problem was some collective, self-fulfilling mania, [a new round of regulations] will not work." The supporters of the Dodd-Frank financial reform law, the study suggests, diagnosed and treated the financial crisis like it was an outbreak of malaria, a preventable disaster caused by a disease whose pathologies are well understood. Change this or that incentive via this or that financial regulation and the problem is far less likely to repeat. But that approach is as much a case of mass delusion as the one that afflicted all those owners in 2007 of sure-thing mortgage-backed securities or mini-mansions in reclaimed Nevada desert. MIT economist Andrew Lo reviewed 21 books about the financial crisis and concluded that "like the characters in Rashomon, we may never settle on a single narrative that explains all the facts; such a 'super-narrative' may not even exist." Lo finds the empirical evidence for many so-called facts that influenced Dodd-Frank to be unclear at best. We all know, of course, that Wall Street compensation was too focused on making a quick buck from short-term trading profits. Yet Lo inconveniently points out that big bank CEOs' aggregate stock and option holdings were more than eight times the value of their annual compensation, making it "improbable that a rational CEO knew in advance of an impending financial crash, or knowingly engaged in excessively risky behavior." And a rational CEO of a key Wall Street player also knew that if he did make some cataclysmic mistake, Uncle Sam was there to cushion the landing. Indeed, the bigger the firm and the more enmeshed it was in the financial system, the more likely the government backstop would be there. The riskier banks were, paradoxically, the safer they were — at least for bondholders. So why wouldn't "rational CEOs" try to increase their return on equity by lowering capital levels, increasing leverage, and finding new, profitable lines of business? They might be violating their duty to bank shareholders if they didn't. "The consequence of expanding the safety net to an ever-increasing range of activities is to invite a repeat of our most recent crisis," said Thomas Hoenig, vice chairman of FDIC and former president of the Kansas City Fed, in a speech last year. But treating the financial crisis like a malaria outbreak uses the wrong model. Better, say the authors of that Fed bank study, to view the meltdown as a different sort of noneconomic catastrophe: "Science has a theory of why earthquakes occur, but quakes strike without warning, and there is nothing we can do to prevent them. Even so, policymakers can mitigate their consequences." Or as Hayek might have put it, not only is government unable to predict the future, the world is too complicated for it to really have much useful understanding of what's going on right now. Regulators are always a day late and a dollar short. Indeed, despite Dodd-Frank, the biggest banks still have a sizable funding edge over their smaller rivals. Markets still perceive them as too big to fail. So how do you (a) make the financial system more shockproof when the next economic earthquake hits, (b) reduce the likelihood of expensive taxpayer bailouts, and (c) ensure the banks themselves don't cause the next crisis? Hoenig, for one, would only allow banks to engage in traditional activities that are well understood and are based on long-term customer relationships so borrowers and lenders are on the same page: commercial banking, underwriting securities, and asset management services. Banks would be barred from broker-dealer activities, making markets in derivatives or securities, trading securities or derivatives for their own accounts or for customers, and sponsoring hedge funds or private equity funds. The result would be banks that are smaller, simpler, safer. Not only would they be less likely to spark financial crisis because management would know government might let them fail, the cost of failure to taxpayers would be less. Of course, some will argue that we need large, complex financial institutions and that their very existence is proof of that. Who are the know-it-all breaker-uppers to say we don't? But that size and complexity is itself more a result of crony capitalism than of market forces. It's little wonder, then, that the preponderance of the evidence is that all the supposed benefits from supersized banks and their economies of scale are outweighed by the risks of disaster they generate. Take this 2011 study from the University of Minnesota: "Our calculations indicate that the cost to the economy as a whole due to increased systemic risk is of an order of magnitude larger than the potential benefits due to any economies of scale when banks are allowed to be large. . . . This suggests that the link between TBTF banks and financial crises needs to be broken. One way to achieve that is to break the largest banks into much smaller pieces." There are other options, of course. We could just put a hard cap on bank size. But there's no clear evidence what that size limit should be. Besides, while the failure of a big bank creates a big economic impact, it's not necessarily size that makes a bank potentially dangerous as much as what a bank does. Others want to treat systemic risk as an externality like pollution and tax it. Nothing wrong with that in theory. Former presidential candidate Jon Huntsman proposed just such a plan and would have used the revenue to cut corporate taxes. The riskier the activities the bank engages in, the higher the tax. But this again requires too much knowledge on the part of regulators to precisely gauge the riskiness of activities or assets and levy an appropriate tax. Again, Hayek. A risk tax also creates new opportunities for Wall Street lobbying. What about just getting Washington out of the banking business entirely? No deposit insurance for investors. No Federal Reserve as a lender of last resort. Lenders would be more vigilant, bank execs more scared, moral hazard eliminated. But explaining to the American public the need to do away with these two longtime features of both the American economy and advanced economies globally would take time, time we may not have. And if a crisis should occur, politicians would still be strongly tempted to start cutting checks. And America cannot afford another economy-crushing financial crisis, not now and probably not for years. In 2007, publicly held federal debt as a share of national economic output was 36 percent. In 2012, it will be roughly double that level, 73 percent, and likely heading even higher. And once you add what Uncle Sam owes in social insurance entitlements, total U.S. debt is bigger than the entire economy, 103 percent of GDP. That amount of indebtedness is well past the 90 percent level identified by economists Carmen Reinhart and Kenneth Rogoff as a serious drag on long-term growth. And like the debt, unemployment is also already at an intolerable level and likely to remain historically high for years to come given the slow pace of recovery. Also unlike those ideas on libertarian wish lists, breaking up the banks has some actual legislative momentum thanks to JPMorgan's huge trading losses on its botched hedging strategy. Banking analyst Jaret Seiberg of Guggenheim Securities' Washington Research Group calls a bipartisan bank breakup movement along the lines Hoenig outlines both a "serious threat" and the top issue facing the sector for the rest of the year. "The Republican response to Dodd-Frank's overkill is to break up the banks. The far left also wants to break up the big banks. 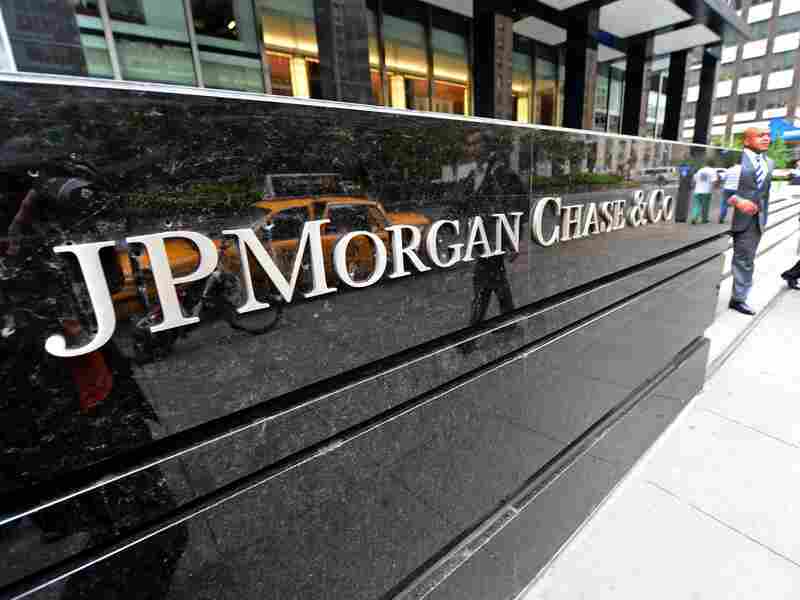 The issue with the JPMorgan hedging mess is that it empowers the far left and the far right to pursue their agendas while the silent majority in the middle ducks for political cover." In fact, what banking analysts call a "serious threat" should strike those outside the management of big banks — left, right, and center — as a "serious opportunity." Breaking up the biggest banks would allow markets to work better, by cutting down on crony capitalist rent-seeking by big money from big government. It would also reduce the moral hazard created by Washington's too big to fail policy. Ending too big to fail isn't a policy conservatives should shy away from — even if some on the left support it too.